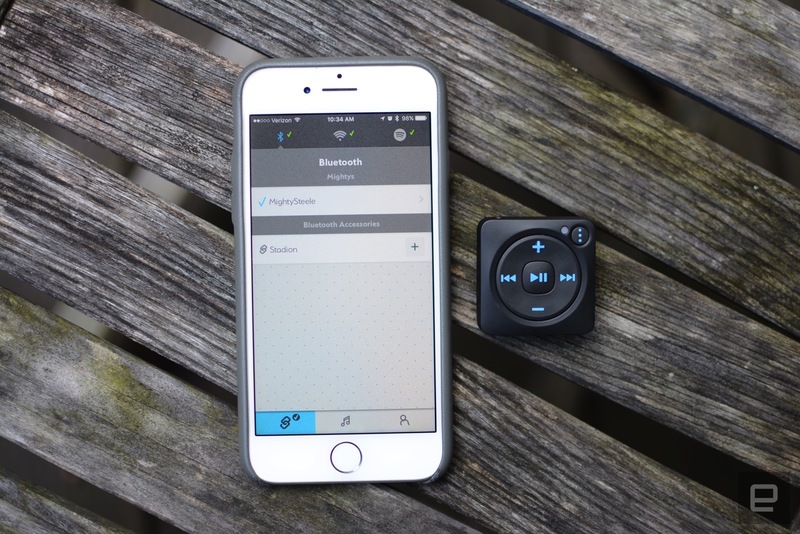 Mighty is a tiny device that holds offline playlists so you can leave your phone behind. Thanks to Baby Driver, we've all been reminded of our love affair for the MP3 player -- namely the iPod. Now that Apple Music, Spotify and others allow us to carry millions of songs on our phones at all times, the days of frantically loading a dedicated media player before leaving the house are long gone. However, that doesn't mean a tiny device that easily fits in your pocket is no longer a worthy music companion. 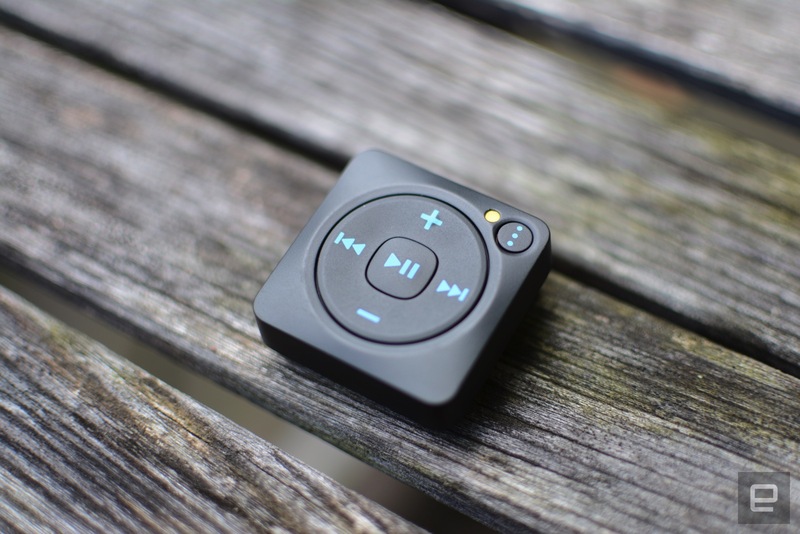 Enter Mighty, an iPod Shuffle-like gadget that syncs Spotify playlists for offline playback and the most compelling case I've seen in awhile for a separate music player. 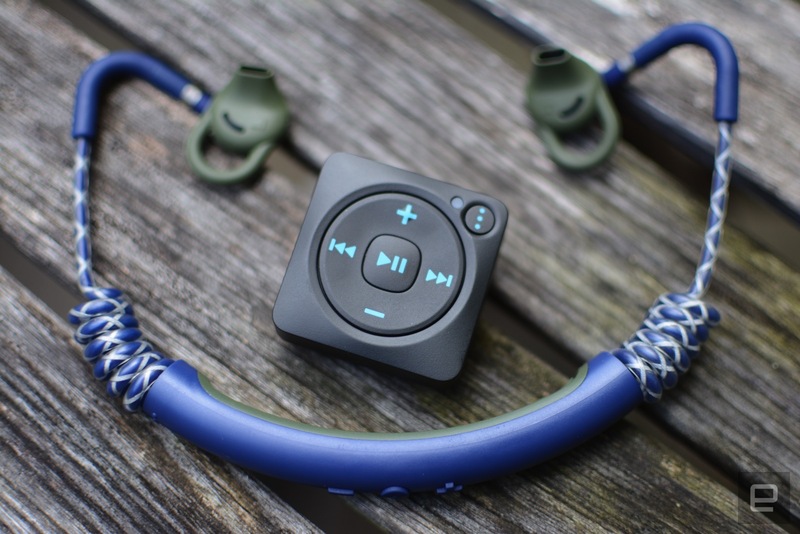 Mighty's promise of an "iPod Shuffle for Spotify" looks good on paper, but issues with Bluetooth range and battery life plague the overall experience. If the company can fix these, the device becomes a compelling accessory for Spotify subscribers. Right now, it's best to wait. Be the first to review the 1st-gen? The Mighty's resemblance to the iPod Shuffle is uncanny. It's a smidge larger, but they undeniably share design features, right down to the handy clip on the back. Up front, Mighty offers the same controls: There are buttons for skipping tracks and volume adjustments situated around a circular ring with the play/pause control (that's also the power button) in the center. Again, it's just like the Shuffle. The only big difference is the addition of a button in the top right corner to jump between playlists. There's also an LED indicator to let you know when the player is on, charging or about to run out of juice. Mighty also offers 8GB of storage or what the company says is enough for more than 1,000 songs. To access all of those Spotify playlists and get Mighty set up, there's a mobile app for iOS and Android doing all the heavy lifting. The company says it considered a desktop app too, but it focused on the mobile software and doesn't have any immediate plans to make a version for your computer. Once the app is installed on your phone, the rest of the setup process takes about 10 minutes. That includes creating a Mighty account, renaming your device something only you will understand, connecting it to WiFi, downloading updates and linking your Spotify account. None of those take very long individually, but I spent the bulk of that time waiting for updates to download and install. Once all of that is done, all you have to do is select which playlists to sync from Spotify to Mighty. That process doesn't take long either, depending on how many items you're loading onto the device, of course. For me, it look about five to seven minutes to sync a group of nine playlists, or about 25 hours worth of music, for the first time. When you launch the Mighty app, there's a tab for Spotify that shows all of your playlists -- both the items that you've marked for offline playback on your mobile device and the ones that aren't. You can sync any playlist for offline playback, not just the ones downloaded on your phone already. Like offline playback in Spotify, there are three quality settings in the Mighty app as well. I made the rookie mistake of not checking this before I synced for the first time, and the result was really awful sound quality. With the default "Normal" setting, the audio loaded onto Mighty had very little bass and a ton of treble. It was really terrible. However, once I switched both my Spotify and the Mighty apps over to "High" quality for downloads and swapped out all of my lower-quality playlists, the difference was night and day. And yes, opting for the "Extreme" setting amped up the sound quality even more. Yes, higher quality takes up more space, but in this case, you really need something other than the default for it to sound good. The Mighty app is also handy for checking how much storage space you've used and how much battery is left. Once you hit play, the gadget will no longer beam info to the app. So, don't expect to keep tabs on those totals while you're listening to Kesha. Why? Well, Mighty connects to the app via WiFi and Bluetooth and when you start any music, those two connections turn off to conserve battery. Thankfully, when you pause the tunes, it only takes a few seconds for the device to pair with your phone and display those stats. Since Mighty connects via both Bluetooth and WiFi, you can use it with wireless headphones -- a feature the iPod doesn't offer. Sure, the added connectivity boosts the feature set, there are some caveats. First, you connect wireless headphones (and speakers, too) via the Mighty app. If you're planning to leave your phone behind on a run, any Bluetooth accessories will connect directly with the device after the initial pairing. This means you won't have to fire up the app before you head out every time. Second, Mighty doesn't have the best Bluetooth range. It's actually pretty terrible. Due to the small size, the device's Bluetooth radio is significantly smaller than what's in your phone, so signal strength suffers. The company says it hopes to improve this in a future software update, but as it stands, I reached for wired earbuds most of the time to avoid the annoyance. I've been using the Urbanears Stadion wireless in-ear headphones at the gym for a few months, so I decided to give them a go with Mighty. Unfortunately, with those headphones on and Mighty in my pocket, the music cut out every few seconds during a workout. Pretty much any time the device wasn't in clear sight of my headphones, I had signal issues. The same setup (wearing wireless earbuds with Mighty in my pocket) was slightly better at home, but the music still cut out regularly. I was able to remedy the signal loss by clipping Mighty on the collar of my shirt, closer to the headphones, or setting it on the table in front of me. Obviously, neither is ideal if you're working up a sweat, so hopefully the tweaks the company has in the works will fix things. If you're thinking of clipping it on your waistband while you go for a run, you'll want to get wired headphones to minimize interruptions. Other than the issues with Bluetooth, I didn't encounter many headaches during my time testing Mighty. I will say that even with all of the Spotify playlists I spin regularly, I didn't come close to hitting Mighty's advertised 1,000-plus song capacity. In terms of battery life, the company claims five hours on a charge. I didn't quite get that much listening time out of the device, but Mighty says battery life will suffer if you load up higher-quality audio files like I did. I could usually listen for about four hours before I needed to plug it in. If you plan to use it all day, you'll want to recharge during your lunch break. Mighty also plans to eventually include other content like audiobooks and podcasts, but again, there's no timeframe for exactly when that might happen. Local file support is also on the company's road map, but for now, any files you've uploaded to Spotify won't be available to sync on Mighty. 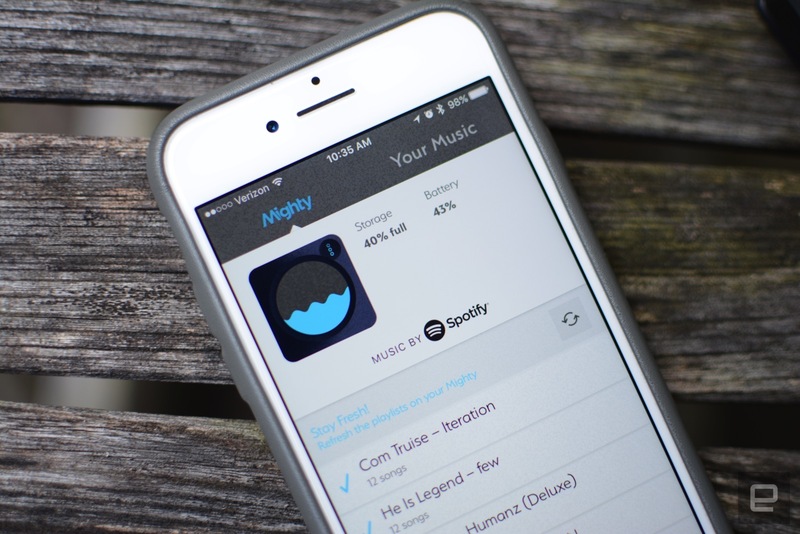 Mighty delivers on its promise of offline playback for Spotify users. The setup process is relatively quick and simple, so you don't have to futz with it for an hour to get it up and running. Due to the design, you'll have to do most of the heavy lifting inside the Mighty app on an Android or iOS device, but thankfully that works well and is easy to use. At $86, is Mighty worth the price of admission? It's quite a bit more expensive than the iPod Shuffle, but it does offer features like wireless connectivity. Of course, the key is you don't have to actually own the music you load onto the device -- you just need a paid Spotify account. 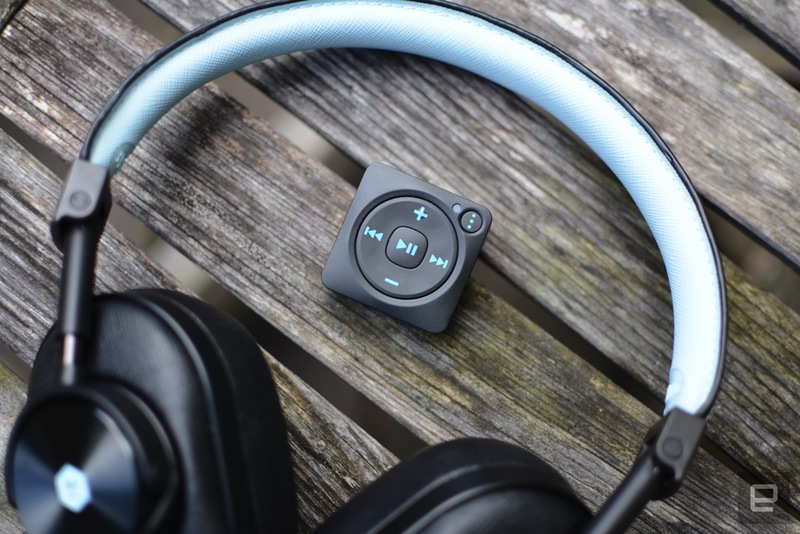 If the company is able to fix the Bluetooth issues and work with Spotify to introduce a much-needed shuffle feature, Mighty could be a compelling workout companion or an on-the-go option for the streaming generation. For now, it's a solid concept that needs a little fine-tuning and one that probably won't convince you to leave your phone behind just yet. Update 7/27/17: Three days after this review was published, Apple removed both the iPod Shuffle and iPod Nano from its website. Currently, the only option is the iPod Touch. Update 9/19/17: Mighty is planning to release an update in October that delivers a shuffle feature as part of a "major" software update. We will have more details in the weeks to come.